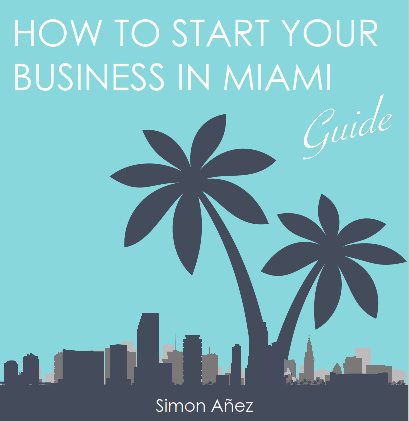 Download The Ultimate Starting your Business in Miami Guide – Free! You’re ready take the plunge into the Magic City. Starting, expanding or transferring a business to Miami has many advantages over other places, it is considered a tax haven, with no local or state personal income taxes and Florida’s state corporate tax rate of 5.5% is among the lowest in the nation. Compared to places like California, New York, and New Jersey, a decision to move to Miami can be similar to an automatic 10 percent increase in revenue. Whether you’re Start-up a freelancer or moving your business from somewhere else, this guide is for you. You will get the best strategy and not well-known steps to start your business in Miami. Our 100% free Ultimate Guide to Starting your business in Miami will help you find out about all the necessary steps to make sure you get started on the right foot, the proper way. We also hook you up with information and links on useful local resources and organizations that every person starting or moving their business to Miami has to know about. These resources and instructions were compiled from years of starting and running different business in Miami. You will get the concrete step by step process with references so you can take charge and know exactly what it is that you need to do and where to go. Fill out the form on the side to start the download and be steps ahead of the competition by knowing which resources and tools to utilize and reach out to.